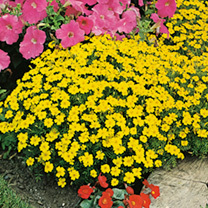 Masses of bright lemon yellow flowers which smother the compact lace-like foliage to form a mound of colour. 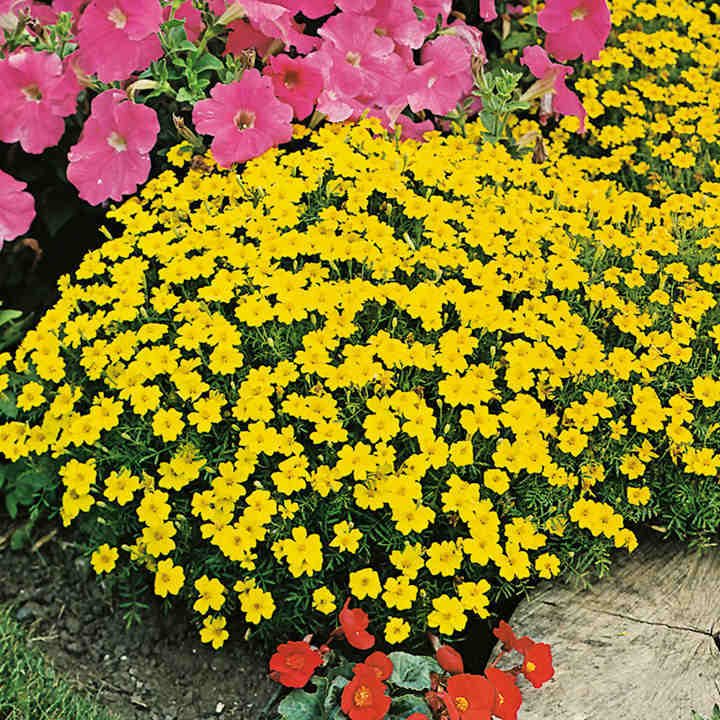 Really good in formal bedding scheme and superb with blue ageratum, lobelia or petunias. RHS Perfect For Pollinators. Height 23cm (9"). HHA - Half-hardy annual. Easy to grow, uniform plants with aromatic foliage for colour drifts and border edgings.